Posted on March 15, 2017 by Shawn L. Bird. This entry was tagged change, hope, invocation, President Elect, Rotary, service, spring. Bookmark the permalink. Thank you! I’ll be using tomorrow 03/21 at the Fond du Lac Morning Rotary Club in Fond du Lac, WI. Thank you Shawn. I intend to use your Spring invocation at the Rotary club of Bridgeport, Connecticut today. I will be using this invocation today at the Sheboygan Rotary club. Just had our first few days on sunshine and warmer weather! Thanks. I will be using your spring invocation at the April 2, 2018 meeting of the Dixon Rotary club in Illinois- Thank you! 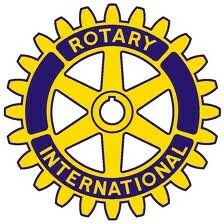 Regards to Dixon Rotary! Thanks, Lynn. Thank you for “Spring”. We adapted it because we are desperately waiting for Rain rather than Spring. Heather Howard, Secretary, Rotary Port Alfred, Eastern Cape,South Africa D9370. Greetings to Rotary Port Alfred! Thank you Shawn. I am using this Invocation today at the Downtown Salem Oregon Rotary. I used your “Spring” invocation at our Rotary Club today, with a brief intro to you and your interests. It was well received and very appropriate as we are impatiently waiting for the rains to end and the sun to shine once again. Greetings to Kansas City Rotary! Gday From Rotary Club of hazelwood 9820.we are from latrobe valley victoria Australia. Thanks for your lovely words.i shall use your invocations again. Thank you!! I used this at Rotary Simi Sunset in Simi Valley, CA tonight! Thanks, Bill! Greetings to Simi Valley Rotary! Thank you for this…. I plan to use it at next week’s Rotary meeting…. with attribution to you. Thanks, Richard. Greetings to Wilsonville Rotary! Sorry to say my club doesnât do invocations anymore. It is beautiful and I shall enjoy it and add it to my collection. I think some people have difficult with the idea of ‘non-sectarian’ invocations, which is why I created this site, to provide many options. Does your club do a ‘thought for the day’ or something similar?